While the craft and specialty cider market in South Africa is still relatively untapped, several vendors are trying to change the game for cider lovers, the latest being De Grendel with the winery’s new Three Spades Cider. This premium small-batch cider is made in limited quantities using freshly-pressed apples from Elgin, and is the creation of De Grendel winemaker, Charles Hopkins. He comments he was pleasantly surprised that the treatment of both wine and cider is not worlds apart – although cider offers a much quicker process. Hopkins has used five different varieties of pressed apples: Golden Delicious, Granny Smith, Pink Lady, Braeburn and Fuji, to create an upmarket cider that has an “exquisite, almost champagne type flavour”. 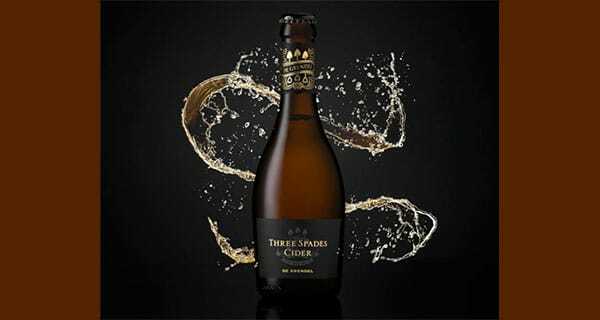 Three Spades Cider retails at R35 per 330ml bottle.